Late puncture denies Evans as Belgian takes the overall championship lead. 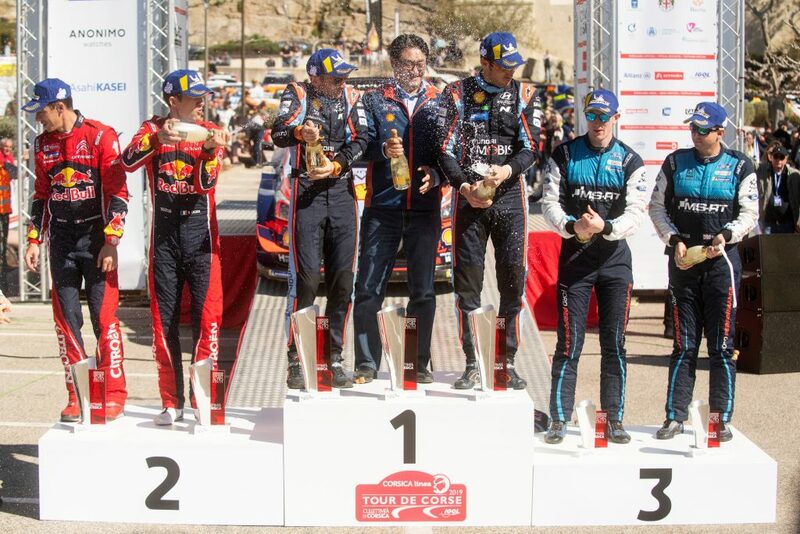 Thierry Neuville grabbed a dramatic victory at Corsica linea – Tour de Corse on Sunday afternoon after final stage heartbreak for Elfyn Evans. 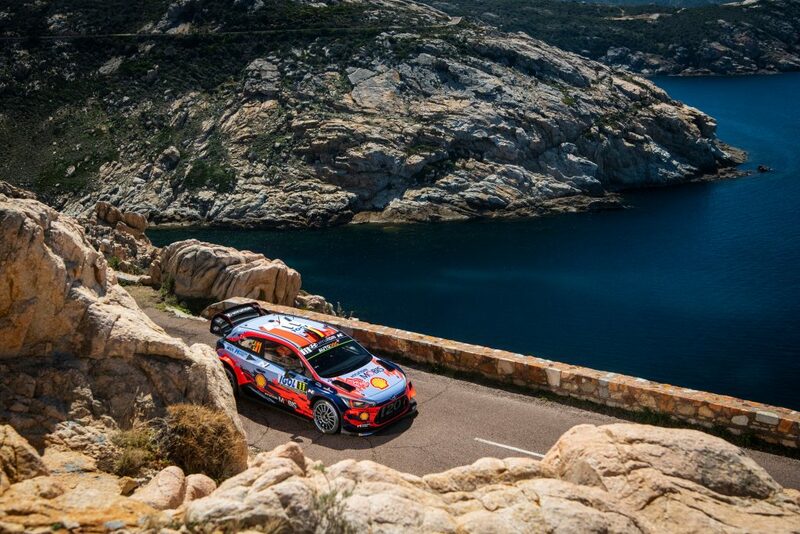 Neuville was en route to the podium ceremony in Calvi believing he had finished second when he discovered leader Evans had punctured a tyre in the final speed test. 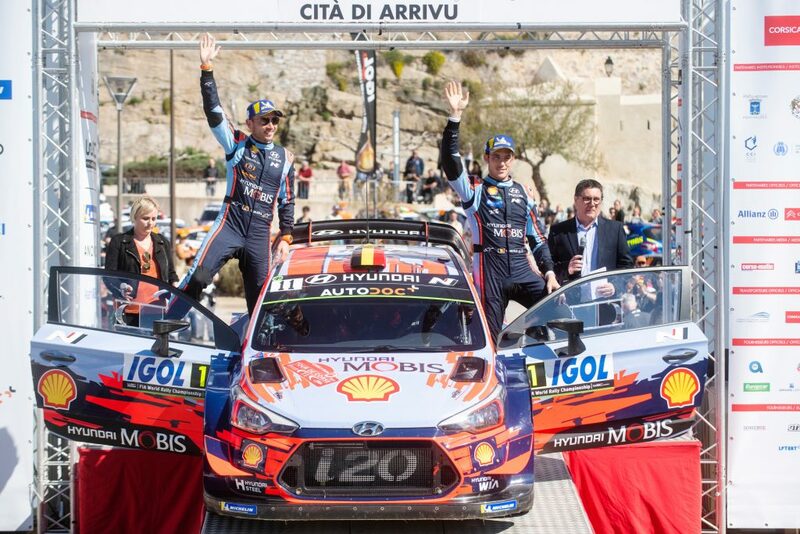 Evans dropped 90sec limping to the finish, handing Neuville a victory in his Hyundai i20 that moved the Belgian into a two-point lead in the FIA World Rally Championship. Neuville carried a 4.5sec lead into today’s final leg on Corsica’s east coast. His hopes were dented when Evans destroyed him in the opening test, regaining 16.0sec to move into a seemingly comfortable 11.5sec advantage ahead of the final Wolf Power Stage. 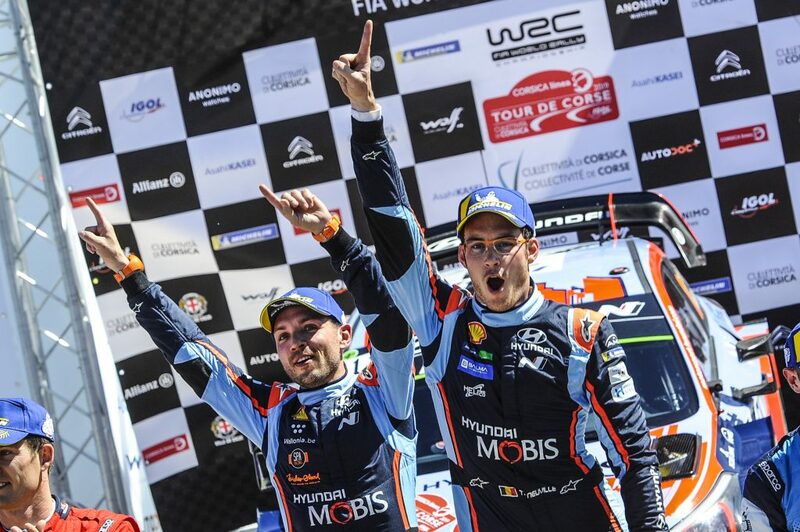 “I tried to contact the team to get information, but we were unsure if we had won or not,” said Neuville. “Arriving at the podium I saw my mechanics and only then I understood we had. Evans put on a brave face after finishing third in his Ford Fiesta. Three times he fought back to regain the lead during a topsy-turvy weekend on the asphalt, but there was no opportunity to do so for a fourth time. Sébastien Ogier was relieved to claim second, 40.3sec behind Neuville, after a torrid rally in his Citroen C3. Handling problems slowed the Frenchman and despite many set-up changes, he never found the pace he expected. He was 26.3sec ahead of Evans. 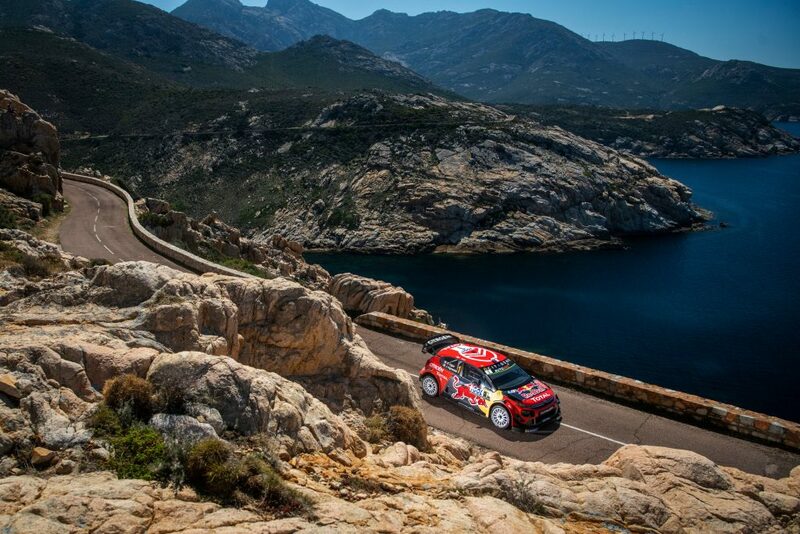 Dani Sordo took fourth in another i20, despite final day brake problems. The Spaniard fended off Teemu Suninen’s Fiesta by 6.2sec. Ott Tänak completed the top six in a Toyota Yaris, the Estonian unable to recover from yesterday afternoon’s puncture which cost the lead and a potential second victory of the season. Round five takes competitors to south America for the first of two fixtures there in three weeks. The gravel-road Xion Rally Argentina is based in Villa Carlos Paz on 25 – 28 April. This entry was posted in Featured, Global News, Motorsports, WRC by admin. Bookmark the permalink.